The Joe Niekro Foundation™ is honored to have a Board of Directors that is highly talented, diversely skilled, active in fundraising, engaged in governing and committed to serving the needs of the Joe Niekro Foundation™. Each member takes great pride in representing the JNF and has a principal responsibility for fulfilling the organization’s mission and goals. Paul Novak has a total of over 30 years experience as the CEO of three different Nonprofit Organizations. These include the Institute for Supply Management, United Way, and a Youth Services Agency. Paul is a graduate of Michigan State University where he earned his Bachelor’s and Master’s Degrees in Social Work. Paul also holds a certificate in Nonprofit management from the Harvard Business School. Paul and his wife, Connie live in Scottsdale, AZ. 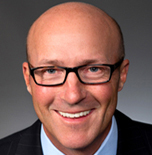 Ed McCarron is a regional sales manager with HP and has over 25 years of leadership experience in sales, business development and marketing. He has an extensive understanding of global markets having launched products and businesses across North America, Latin American and Europe. Before relocating to Colorado, Ed and his family spent several years on an expat assignment in Brussels Belgium. Ed has a special connection to the Joe Niekro Foundation™ as his father survived a ruptured brain aneurysm in 2013. After a long and difficult healing period, Ed and his family were very fortunate that his father made a full recovery. Ed is involved with the Joe Niekro Foundation™ to help raise awareness to this potentially devastating condition. Ed graduated from Bryant University in Smithfield, R.I. with a B.S. in business administration. He has been married to his wife Michele for 23 years and they live in the Houston, TX area with their two children. The mother of a SIDS victim, Linda understands the impact of a sudden, catastrophic medical event on surviving family and friends. When her friend lost his best friend suddenly to a ruptured brain aneurysm, she quickly developed a deep passion for supporting research and education to prevent the pain and loss of loved ones to conditions like brain aneurysm. This resolve, combined with her love of baseball, led her to support the Joe Niekro Foundation™. 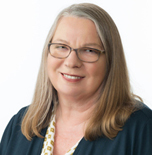 Linda brings 30+ years of business research and consulting expertise, plus service in many roles for non-profit corporations and is thrilled to apply these skills in service on the Joe Niekro Foundation board of directors. She has authored a book for Macmillan Publishers and has served on review boards for published works. Linda holds a CPSM® (Certified Professional in Supply Management®), CPSD® (Certified Professional in Supplier Diversity®), a C.P.M. (Certified Purchasing Manager) from the Institute for Supply Management™ and an MCIPS from the Chartered Institute of Purchasing and Supply. Since the late 1970’s when he served as Treasurer of the Tompkins County SPCA in Ithaca, NY, Bill Michels has been committed to applying his business acumen to serve non profit corporations. He has held office or has been an active board member for non profits since then. Before being a board member for the Joe Niekro Foundation™, he served on the board of the Purple Rose Theatre and the ARC Canine Health Foundation. Bill’s business background includes board, CEO and President positions, plus as an entrepreneur he grew successful businesses globally until the businesses were acquired. He knows the impact of losing a loved one suddenly and is happy that he can use his leadership and entrepreneurial flair to support the JNF’s mission. Bill earned a BS in Business Administration with honors from Rochester Institute of Technology and an MBA from Baldwin Wallace College. He holds a CPSM® (Certified Professional in Supply Management®) and a lifetime C.P.M. (Certified Purchasing Manager) from the Institute for Supply Management™ and an MCIPS from the Chartered Institute of Purchasing and Supply. 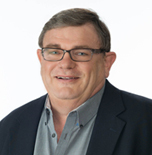 Well known in the supply management and operations management community, Bill is a sought-after speaker and writer with many publications, including co-authorship of the book, Transform Your Supply Chain. 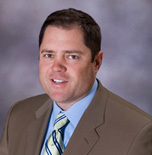 He has been honored 9 times in the Supply & Demand Chain Executive’s “Pros to Know” group. 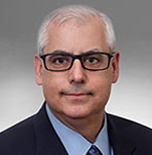 Gary is a Vice President of Americas Channel Program for the Hewlett-Packard Company, where he is responsible for leading and managing all aspects of partner/channel development for Hewlett Packard ‘s Partner First program for the Americas Commercial Channel. Gary is also responsible for driving store activation with the CMS and Training team in the US and has been with Hewlett-Packard for 29 years, serving in key sales leadership roles ranging from commercial clients to channel partners. 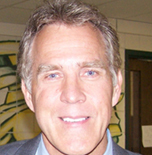 Gary grew up in Michigan and graduated from Ferris State University in 1985. Gary and his wife Lisa reside in Colorado Springs, CO. The Joe Niekro Foundation™ has become a personal passion to Gary as the Foundation is committed to supporting patients and aiding in the research, treatment and awareness of Brain Aneurysms, AVMs and Hemorrhagic Strokes. Our goal is to raise awareness about the risk factors, causes and treatments of these conditions, while helping support the advancement of neurological research. We provide public education and advocacy, support for patients and families, and develop awareness programs and educational materials for hospitals, clinics and other institutions nationwide. 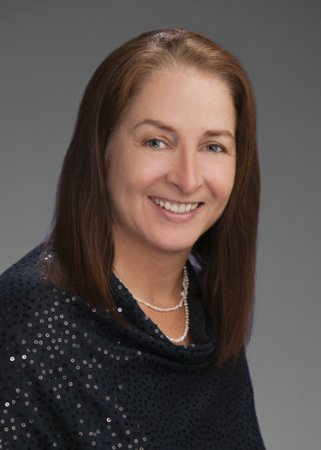 Mina Wheless is a 14-year corporate attorney who has served as counsel at several global companies in the energy sector, working with leaders to support business objectives in Latin America, the United States and in the Middle East. Mina believes the role of the attorney in corporations has evolved to become one of a trusted business associate and partner who identifies risks and provides ethical and practical legal advice to mitigate those risks. Mina is a native Houstonian who is trilingual (English, Spanish and Portuguese) and has lived, worked and studied abroad in Guatemala, Mexico, Brazil and Spain. She holds a BA degree in International Relations from Stanford University, with an emphasis on Economics, and a JD degree from the University of Houston Law Center. When not working, Mina tries her best to be outdoors. She hiked the Inca Trail in Peru as a mid-life challenge and has traveled extensively throughout Latin America. Among other sports, she ran track in high school, meeting her hero Jesse Jackson, and played collegiate field hockey and lacrosse, returning to Houston to start and coach a girl’s lacrosse program at her high school. She currently is, and always has been, an avid cyclist and scuba diving enthusiast. Mina has one daughter, Anna, who is a Biology student in Houston and who ventured to live in Shanghai, China to study Mandarin and travel the region while on a gap year from college. In 2016, Mina suffered an aneurysmal subarachnoid hemorrhage (SAH) while at her home in Houston. She was very fortunate to be near the Houston Medical Center at the time and had an endovascular coiling procedure performed the following morning in order to block blood flow into the aneurysm thus preventing further bleeding into the brain. Six months later, a stent was inserted into the artery to permanently treat the aneurysm. Miraculously, she did not ever experience any lasting ill effects from the event and is ever-grateful to all involved, especially to her medical team for their calm and expertise. 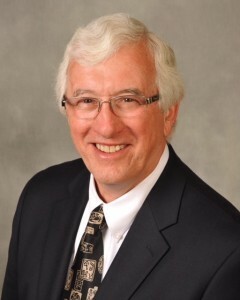 Dave Bergman, former Chairman of the Board, lost his life to bile duct cancer on Feb. 2, 2015. Dave was an investment counselor for Sigma Investments which he joined in 1990 after gaining considerable experience as a licensed securities broker with Merrill Lynch, E.F. Hutton and Roney & Co., as well as participating on the Professional Baseball Players Pension Committee for several years. Prior to joining Sigma on a full time basis, Dave played professional baseball for 20 years and is perhaps best known for his contribution to the Detroit Tigers during the latter part of his career. Having lost his best friend, Joe Niekro, to a brain aneurysm in 2006, Dave committed himself to spreading awareness and raising funds to support research of this dreaded disease. Dave, you will forever be missed and we thank you for your love, support and friendship.